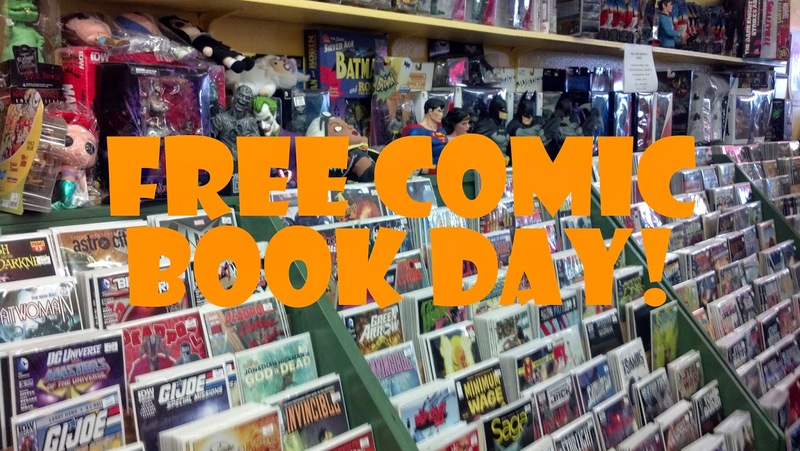 The Written Word(s): Free Comic Book Day! 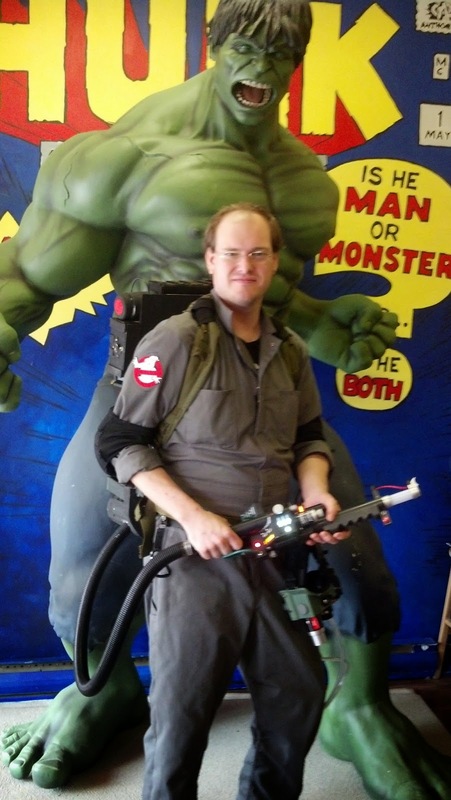 This has got to be one of my favorite geeky holidays, and I have celebrated it by popping into my local comic book store for 2 years in a row now! I've been looking forward to this for a few weeks now. 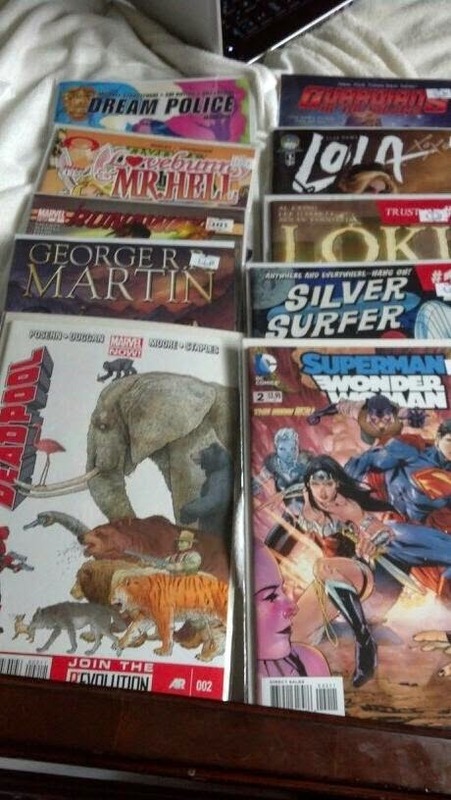 Every once in a while when somebody else was around I'd bounce in place and say, "It's almost Free Comic Book Day!" and smile excitedly. 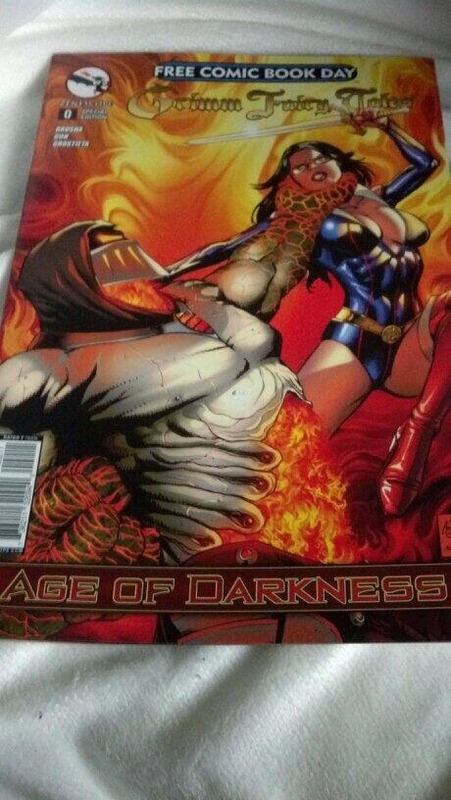 This procured mostly chuckles and eye rolls, since I'm not friends with a lot of people that are into comic books. If I'm being completely honest, this is the first year where I've begun to seriously collect comic books. Before that I stuck strictly to collecting manga, which I've done since I was 13. 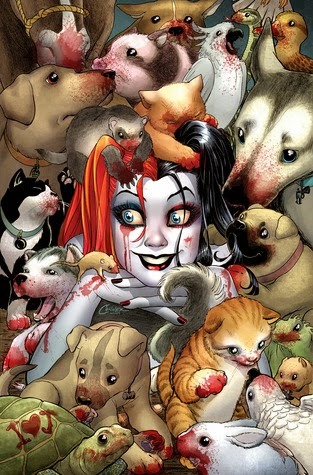 I've focused my interests strictly on 2 series: the new Ms. Marvel, and the New 52 volumes of Harley Quinn. Today I was hoping to procure a few new volumes and maybe get hooked on one or two more series. Besides, when it comes to comics, it never hurts to try something new. Turns out my pen pal Diana was looking forward to today as well, and we promised to show off our hauls and squeal once the day was over. 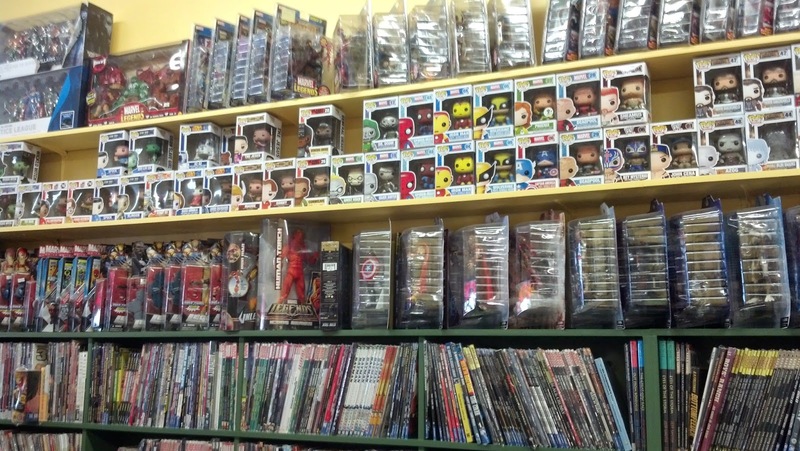 The store I typically frequent for comics is Mostly Comics, located on St. Paul Street in downtown St. Catharines. It's right around the corner from where I have my violin lessons every week. I can easily remember how excited I was, after hearing so much about it online, when I dropped by before going to Wasaga Beach to see if they had the 1st volume of Ms. Marvel in stock. Not only that, but on a hunch I picked up volume 2 of Harley Quinn. She's the head of my IGGPPC house all the time, I figured I could learn a thing or two about the clown of darkness herself. Today the only specific volume I desired was Ms. Marvel volume 3. Other than that, I decided to keep an open mind. Luckily for me, my violin lesson ended up getting cancelled, so I had an entire hour to spend in the shop! It was definitely crowded, and since I was carrying my violin on my back, it was a bit awkward to get through the aisles, but I've never been one that minded crowds all too much, even while carrying an instrument on my back. The first thing I grabbed was the Ms. Marvel volume I wanted, and I checked to see if vol 6 of Harley Quinn was out, but unfortunately it wasn't there. Once that was done I wandered around the store aimlessly, looking for anything and everything that caught my interest. After all, with all the sales going on, if there was a day to splurge on comics, it was today. I kept picking up volume after volume, and even found a graphic novel that I wanted to take home. When I knew I had to get going to my bus, I decided to finally turn my attention to the Pop! 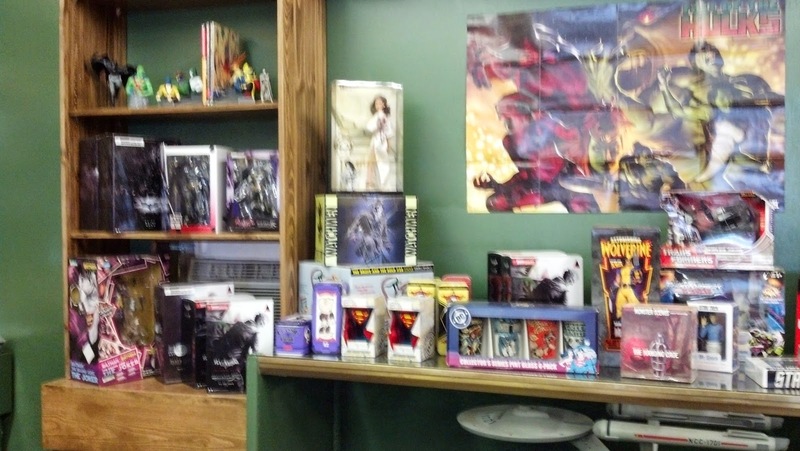 Vinyl figurines, which catch my interest each and every time I walk into this store. I already have a couple of these myself, one of which was purchased here a while ago. They were on sale too! 1 was 10% off, 2 was 20% off, 3 was 30% off and 4+ was 40% off. While I easily could have purchased 4 or more (I had my eye on an Ygritte figurine for 5+ minutes), I decided to stick with just 2. The employees working today were all really nice, and were really getting into the spirit of things by wearing their costumes proudly. I couldn't help but laugh when I saw the nice man dressed as Wonder Woman commonly dropping things and bending over to pick them up XDD And it may be hard to see from the photo I took, but the lady dressed as Marge Simpson was sporting some very freaky eyebrows! It turns out that I made a tiny mistake and picked up Vol 2 of Ms. Marvel instead of vol 3, which wasn't at the store. Therefore, I've decided to give this volume away to somebody else. 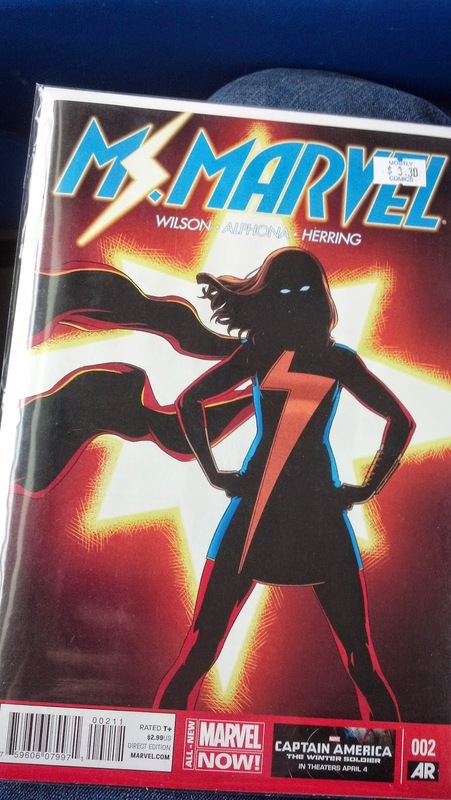 Maybe you missed Free Comic Book Day because you had to work, or maybe you don't live near any comic book stores, or maybe you're just itching to get your hands on the next Ms. marvel installment free of charge! This giveaway will be happening through Facebook only! Click on the picture or click here to enter the giveaway. 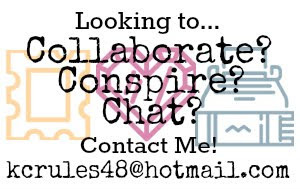 On top of that, another geeky blogger whom I greatly admire, +Mia Moore is hosting a few comic book giveaways on her Facebook page as well! Check those out if you're looking to win some great comic volumes for yourself or somebody you know! 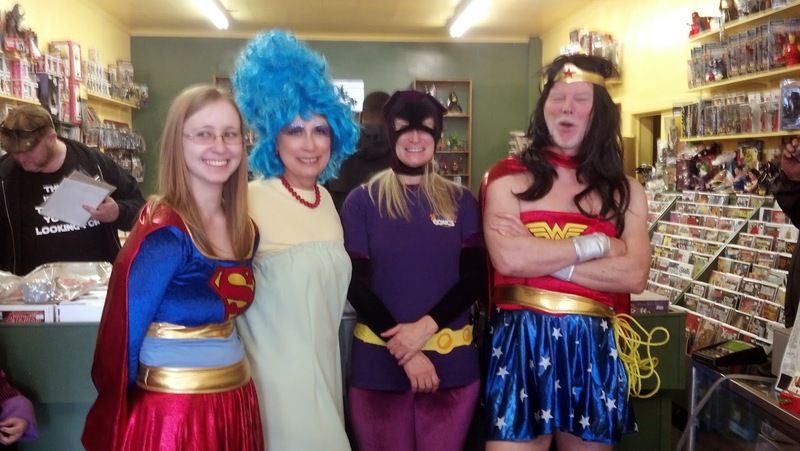 FCBD is always amazing-I'm glad you enjoyed yourself!! 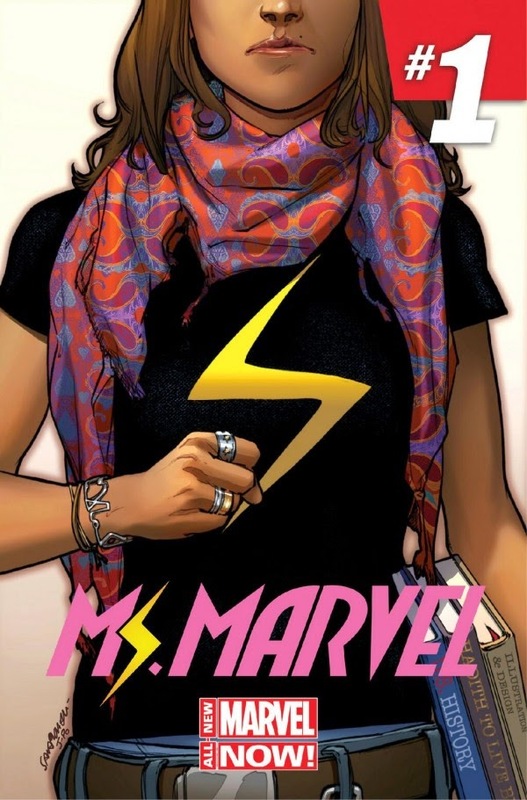 I've been reading Ms. Marvel, too! Absolutely love it. Also, how are the Game of Thrones comics? I never see them around enough to flip through one. 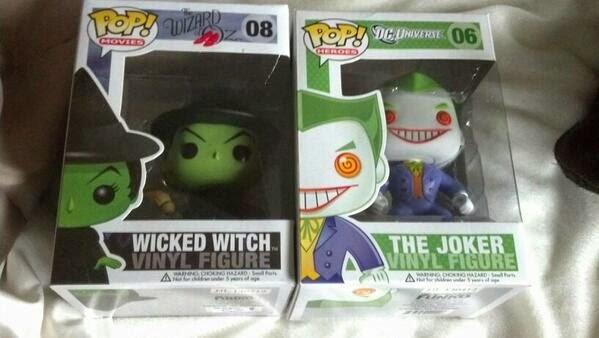 I'm totally obsessed with the Funko figures. I've managed to keep myself to only 2 so far, but I know I will be buying more. I want the Jafar one! It sounds like you had an awesome FCBD! I want to check out the Game of Thrones comics!